TUCSON -- O'odham VOICE Against the WALL announces a benefit bringing emerging and established poets, writers and scholars to Tucson at Cat Mountain Lodge, one of TripAdvisor's top ten Tucson bed and breakfasts, from February 27 to March 26. Simon J. Ortiz, Acoma Pueblo, and Laura Tohe, 2015-2017 Poet Laureate of the Navajo Nation, headline the Distinguished Speakers 2016 series. Other speakers include poet Ruben Cu:k Ba'ak and scholars Dr. Julian Kunnie from the University of Arizona and John Zerzan. Ofelia Rivas, founder of O'odham VOICE Against the WALL, will also be speaking at all events. O'odham VOICE Against the WALL provides solidarity to the O'odham of Southwestern Arizona and Northern Sonora in efforts to maintain traditional culture and ancestral land in areas currently under illegal occupation by the United States and Mexico. Since 2003 it has advocated against a militarized border and for the rights guaranteed by inherent and domestic and international law, and documented abuses against the indigenous peoples on O'odham land. Simon J. Ortiz, Acoma Pueblo, speaking on March 26, is one of the key figures in the second wave of what has been called the Native American Renaissance. 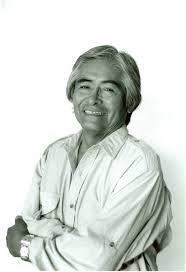 He is one of the most respected and widely read Native American poets. The author and editor of 25 books, Ortiz is currently Regents Professor of English and American Indian Studies at Arizona State University. The work of Laura Tohe, speaking March 19, has been published in the journals Ploughshares, New Letters, Red Ink, World Literature Today, and many others. She is an English professor at Arizona State University and her most recent publication is Code Talker Stories (2012), an oral history of the Navajo Code Talkers. 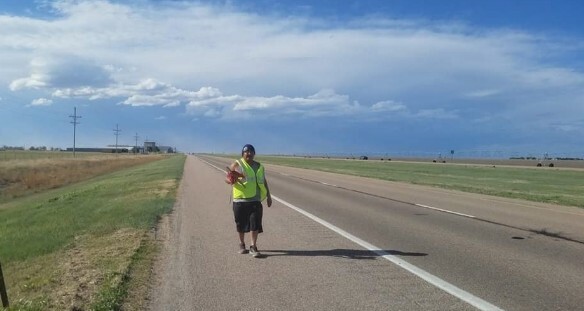 Ruben Cu:k Ba'ak, Tohono O'odham, speaking March 12, is a poet and prose writer and a recent ASU graduate in economics pertaining to the Tohono O'odham homeland. The Ramada at Cat Mountain Lodge is at 3030 Donald Avenue, north of Ajo Road and Western Way off the west side of Kinney Road. A donation of $20 - $40 is requested, but no one will be turned away for lack of funds. All events begin at 6:30 pm, with featured speakers at 8 p.m.